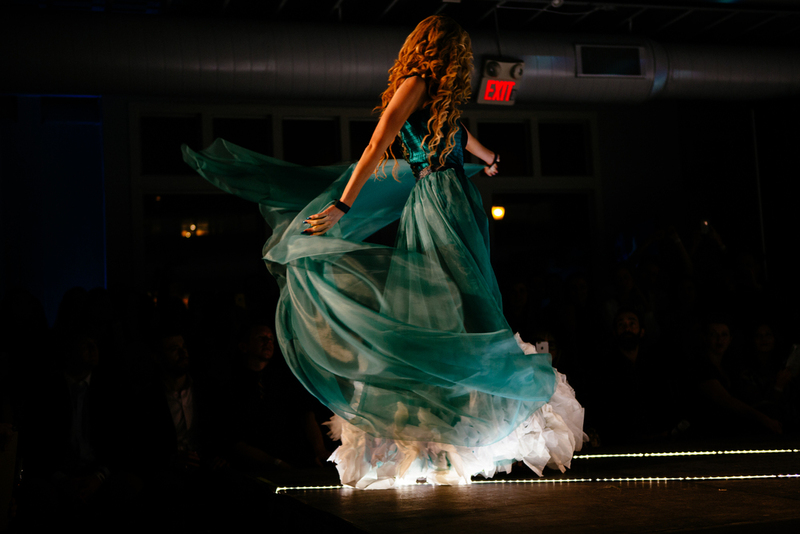 The theme of IIDA’s 2015 Fusion + Fashion runway show was a call to action: Find Your Muse. Pablo Picasso, Yves Saint Laurent, Bob Dylan, F. Scott Fitzgerald and Andy Warhol are all united by something surprisingly simple: they all had a muse that inspired them to create. Most, if not all, of the greatest creative work in history was inspired by these sometimes hidden muses; the driving forces behind an artist's creations. Simply defined: a muse is a source of inspiration, or a guiding genius. 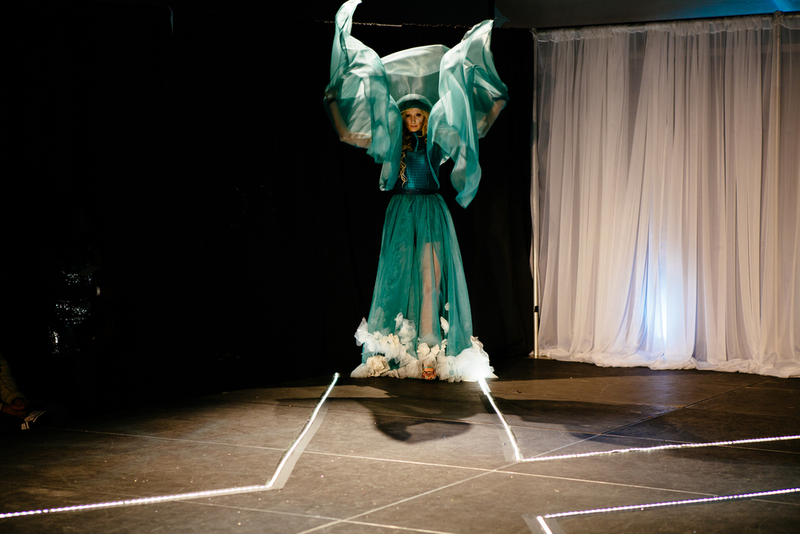 This year, the challenge was to "Find Your Muse" and translate it into a unique ensemble for the runway. The morning genius of the lake. Oh turquoise wave in golden sun. 'Til dipping, sinking, waning light. Erupts in flaming jade at once. Our interpretation took on the hues and flow of water. Both structured and unstructured forms represented the different stages on the lake through the year. And, the trim on the skirt the wake of the water – made up of spinnaker cloth. Other materials included upholstery & drapery fabrics, and wallcovering & 3Form. Our own Lindsay Matenaer served as an outstanding model! It was a fun and challenging process with great results. It represents the creative endeavors we thrive on at NewStudio!